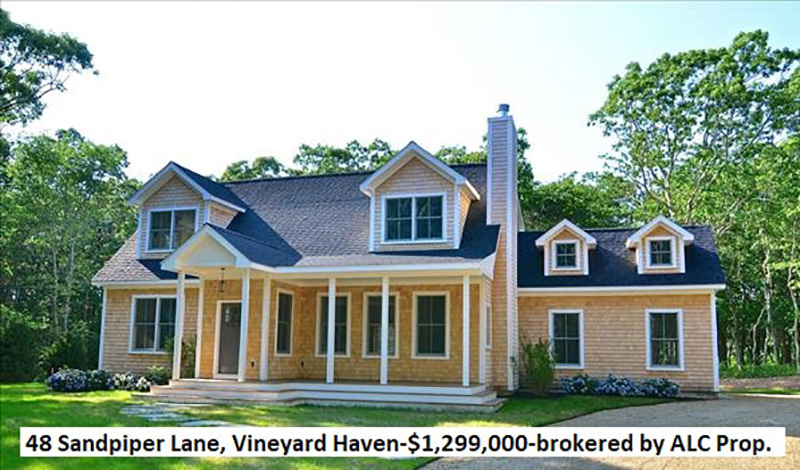 Real Estate Confidential is a weekly chit chat about new listings, sales, or other insider info on the Martha’s Vineyard real estate market, by Fred Roven, Martha’s Vineyard Buyer Agents. It appears each Friday in The Minute. Oftentimes I just do not understand why a particular property has not sold. I took a look through all the homes that have been on the market way too long for their apparent good opportunity. I eliminated any where I understood why there was not a sale as yet. Some were just not interesting enough to warrant excitement and I eliminated new homes because they will just sell for the right price. 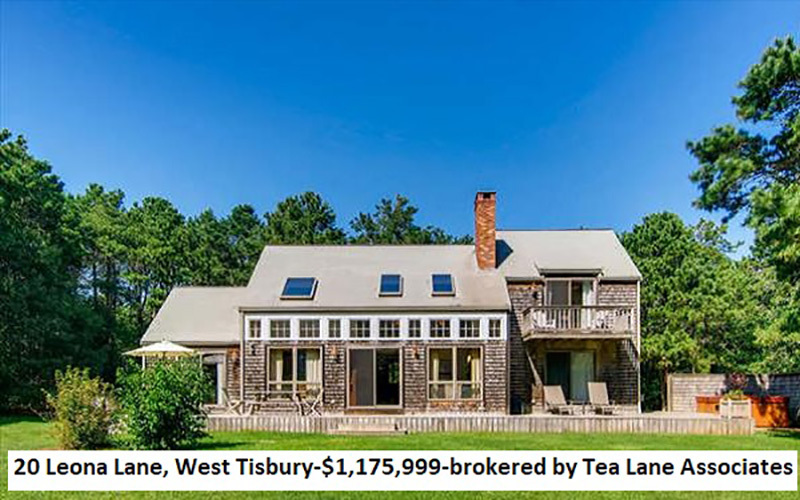 I looked at homes currently on the market on Island and chose the following list of best buys: those that for one reason or another provide a strong negotiating opportunity. Many have a large spread between assessed value and sale price and others had a high number of days on market (with some subjective decisions thrown in for good measure). Here are some good opportunities. These homes are in reasonable condition for their age, with a minimum 3 bedrooms and 2 baths and priced up to $5 million. They are good values with room for increased value in years to come and, most important, a home you can love. Now it is time to get serious. If you are a serious buyer, there are many outstanding opportunities right now. I am convinced that the missing piece in the quandary of why a home has not sold is real estate brokers (myself included) have missed something in presenting the property. 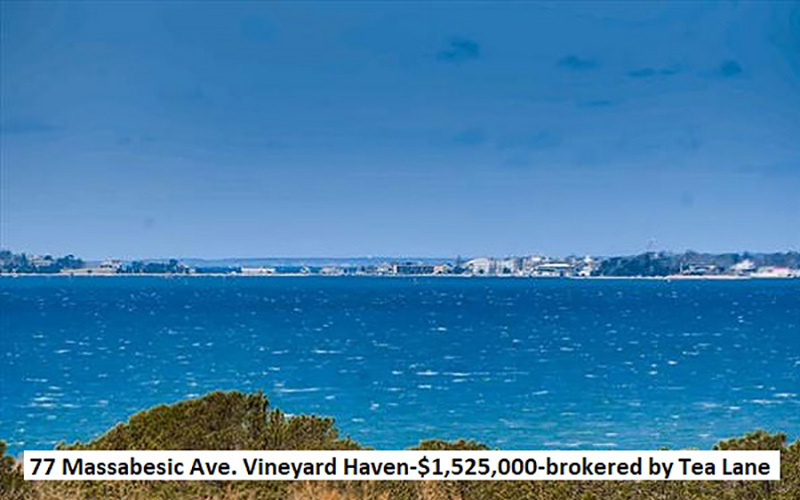 For some waterfront and waterview homes you will only understand the value by taking in the view. Most of the remaining properties have some value in terms of location, the craftsmanship or the potential for a lot of negotiating room. All you need to do is ask us and we can explain why we think the home has not sold and which properties might have the most room for negotiation. 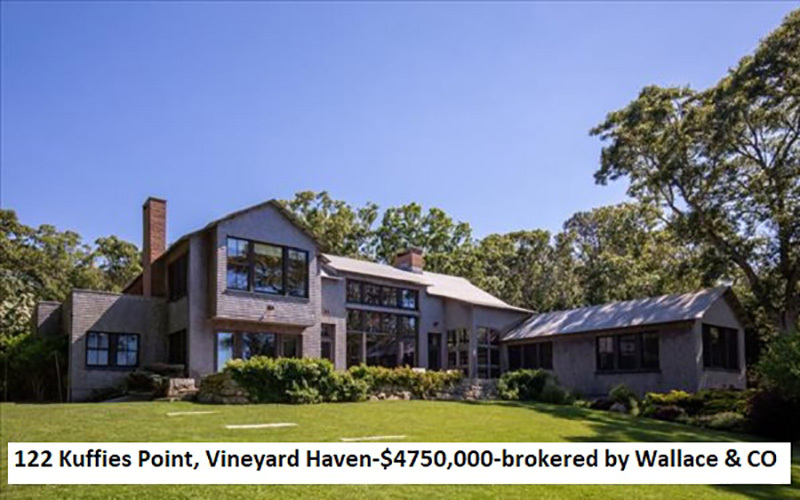 Many Vineyard buyers will consider nothing else but Chappy which makes the fact that the custom-built home at 20 Jason Drive has not sold most unusual. The property, priced at $849,000, is perfect for year-round living, summer fun or as an investment property. The home is in move-in condition with hardwood floors and air conditioning and all Chappy has to offer. 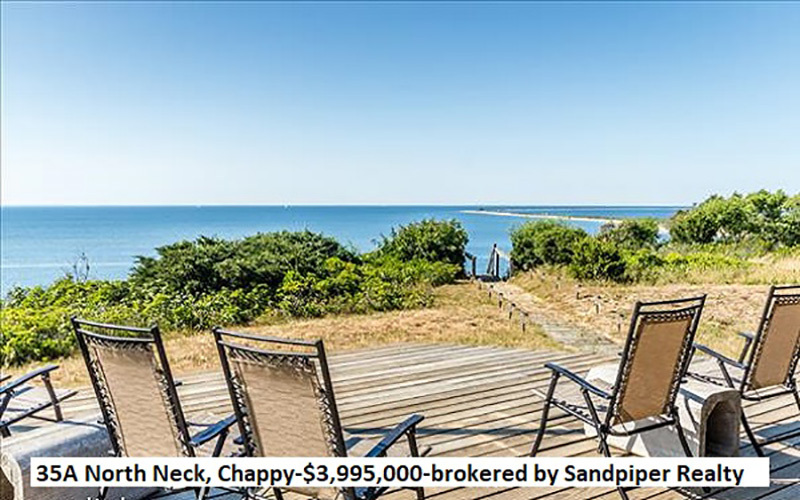 The property provides easy access to sandy beaches, nature trails, Wasque fishing, the Chappy Community Center and Slipaway Farm. 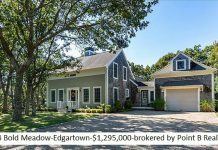 38 Morse Street in Edgartown’s north side provides an opportunity to create a private compound in one of the island’s most distinguished enclaves. My favorite aspect is the 23-foot high ceiling in the great room featuring an interior mezzanine balcony and a backlit 1920’s era stained glass ceiling. 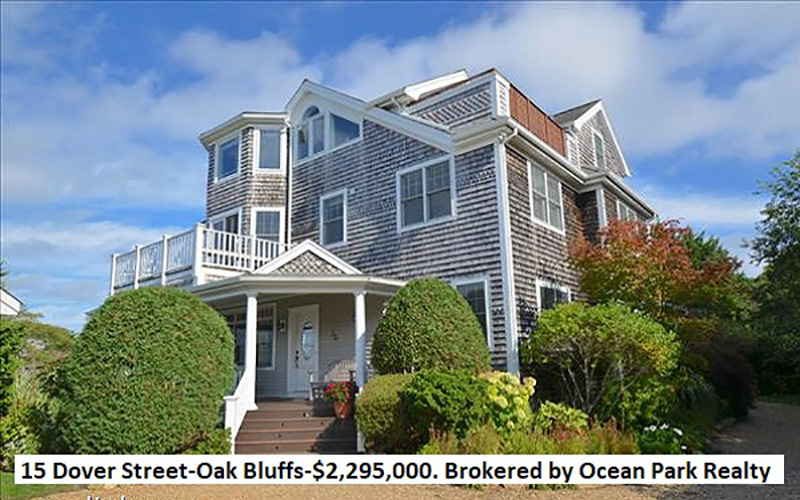 The property offers all the charms of the village yet a short distance to Fuller Street Beach, stores, restaurants, and the Yacht Club. Just bring your design skill to transform the home, 2 bedroom guest house and the “Sugar Shack” bunkhouse into your family compound for generations to come. For views, quality of construction, and luxury combined with privacy, nothing quite compares to 122 Kuffies Point Way waterfront on Aunt Rhoda’s Pond and overlooking Lake Tashmoo. 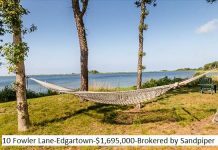 Aside from a truly spectacular home, I love the 150-foot private north shore beach accessible by a paddle around Herring Creek, a peaceful stroll through the surrounding conservation land or a drive to your private parking spot. The custom details including Tahitian mahogany doors, copper-clad windows and another 23-foot ceiling height in the great room are just the beginning of what this home has to offer. 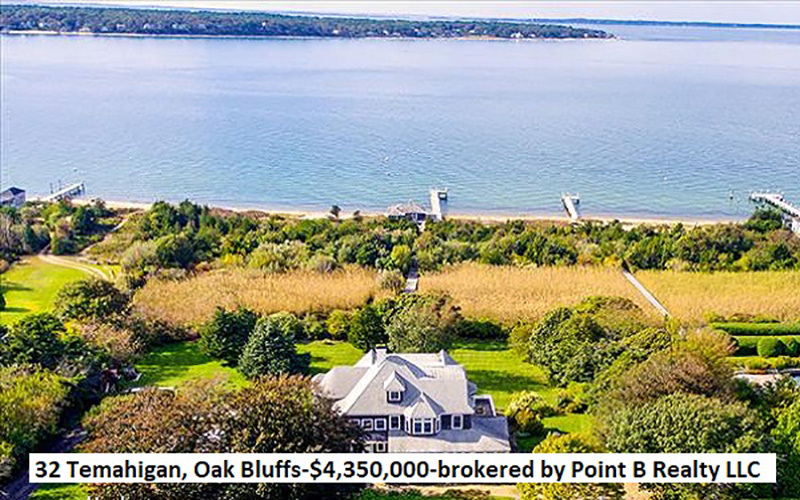 Right now, I promise, there is considerable room for negotiation off the $4.75 million price tag. 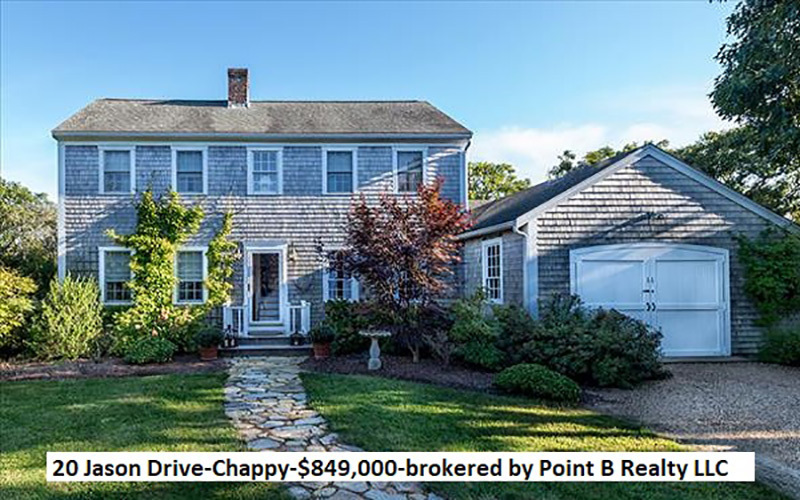 One home I am most surprised has sat on the market way too long is the dramatic home in a Vineyard Haven historic district at 108 William Street. This home in its bracketed-Italianate style really needs to be seen to be appreciated. 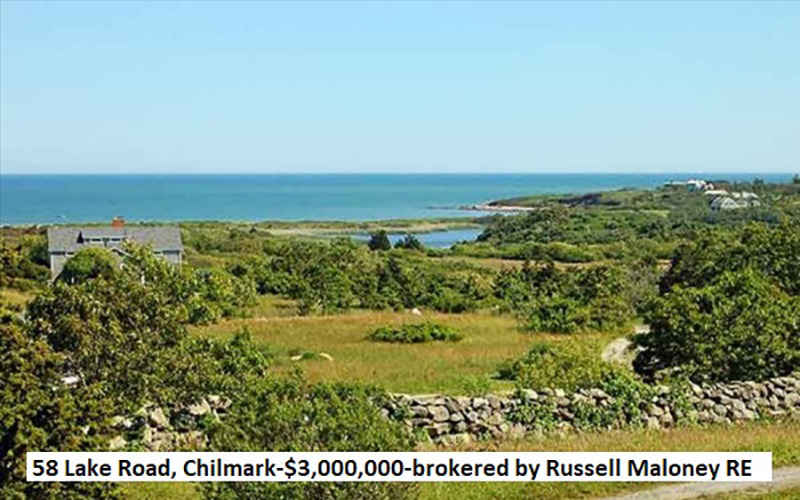 So what makes this special: watching sunrise and moonrise over the ocean; steps to town from a neighborhood of well maintained, historic 19th century homes; or the impeccable restoration? I find the most interesting feature to be its history. The home, called The Benjamin Cromwell House, was built by the captain of one of the first steam-powered side-wheelers to travel the islands as a sign of his financial success. 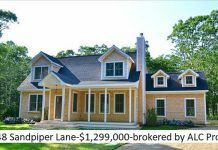 This home will captivate the attention of the most discerning buyer. Just make any reasonable offer. Click here for a complete list of these and other good values. For more Real Estate Confidentials, click here.